This is a bottle of Original Fish & Chip Shop Style Non Brewed Condiment. It's like vinegar but it's made much faster. It legally cannot be called vinegar, so instead they chose the snappy title Original Fish & Chip Shop Style Non Brewed Condiment. Here are some suggested names for it which have an easier journey as they roll off the tongue. But I suppose it's too late to change it. So to help out the makers of Original Fish & Chip Shop Style Non Brewed Condiment (which I have not tried and have no wish to try) I have written them a jingle for their adverts. 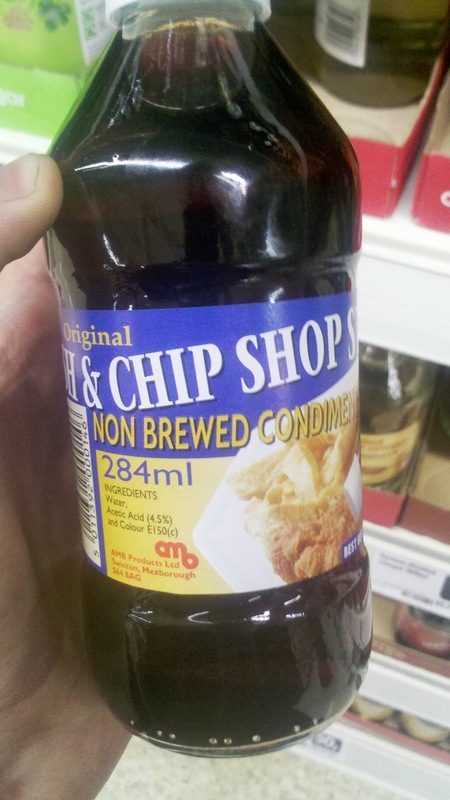 It is simply titled Original Fish & Chip Shop Style Non Brewed Condiment.